If you are a professional photographer or an Instagram blogger, you know how many similar photos you need to take until you get a perfect image. At a glance, you don’t notice that but your hard drive gradually becomes clogged up. The majority of Mac users complain that their devices gradually become the place where they keep all sorts of digital junk. At first, you don’t pay attention to this factor, but gradually your computer becomes over-cluttered, and that starts causing difficulties. Constant glitches and slow-downs are the main issues. The overriding purpose of this guide is to provide you with the solutions to this problem. 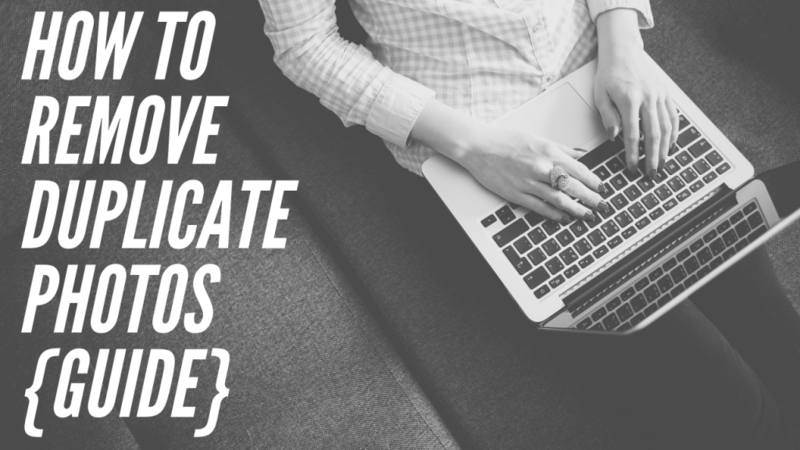 If you need more detailed information, you can look through this article where you’ll find a bunch of great and useful tweaks which will simplify your work with duplicates. Keep in mind that the problem of duplicated files is an issue for many users. If you take many photos on an ongoing basis, they will gradually occupy even more space than any other files. However, it is possible to find a solution! That is the most time-consuming option but it’s quite effective! It’s recommended to do this on a regular basis. For instance, you upload images or other files and you should immediately control how many duplicates are uploaded with them. When you notice a duplicate, it’s better to delete it immediately. You need to look through all the folders and check whether there are copies of different files. The biggest disadvantage of this method is that it is exhausting. You may spend a few hours but no one will guarantee that you deleted all the files. If you have hundreds of photos, you won’t check them manually because it is physically impossible to do this! Keep in mind that there is no need to keep duplicates on your computer. They just consume the space of your hard drive. In current times, there is no need to do this work manually because the modern software market is overwhelmed with an awful lot of top-quality software tools which can help you tackle that challenge! Wish to delete the digital junk within a few seconds? That is not a problem today! To do that, you need to install a top-quality duplicate finder which will do this work instead of you! While searching for a worthy option, you’ll stumble across a bunch of similar software products. Some of them are absolutely free whereas some apps require the monthly subscription. It doesn’t matter which one you pick but you should keep in mind that a worthy duplicate remover should be endowed with a powerful scanning engine which will help you accurately find the duplicated files in a matter of seconds. To start using the software, you just need to download and install it on your Macbook. This solution is the best one just due to the fact that it really saves your time! The software will scan the devices and show how many junk and duplicated files you keep on your computer. After you approve the scanning, the app will delete these files. This solution will allow you to delete the digital junk in a few minutes. As a result, all the useless images which just occupy the space of your hard drive will be removed! You won’t rack your brains over the issue how to find this or that photo amidst hundreds of similar ones. The app will care about the space of your hard drive!